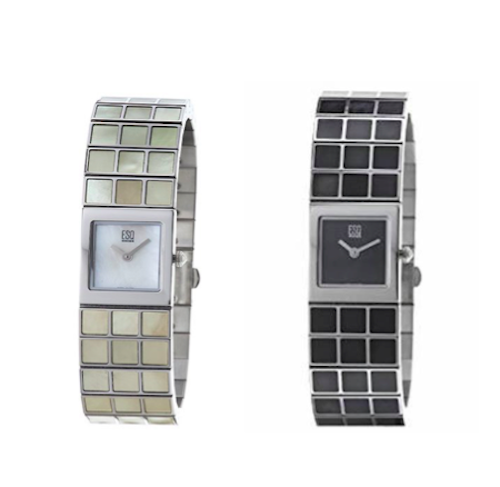 A unique piece of style to your outfit with an ESQ Roxanne collection watch Women's timepiece features squares of lustrous white/black mother of pearl adorning the bracelet, Watch features classic white/black mother of pearl dial and silvertone hands, ESQ Swiss Logo at 12 o'clock, Silvertone bracelet features three rows of 6 mm mother of pearl squares, Secures with a side-push buckle, Mineral crystal, Swiss quartz movement, Water resistant to 3 ATM, Includes presentation box with operating manual, Case measures 19.5 mm wide x 22 mm long, Bracelet inlay features 3 rows of 6 mm mother of pearl squares. 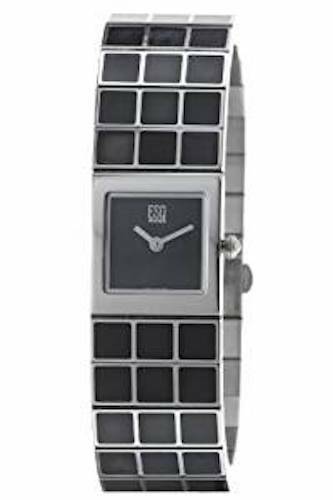 ESQ by Movado Women's Roxanne Black Mother of Pearl Stainless Steel Watch - Model 07101156 (more info) — only 6 left! 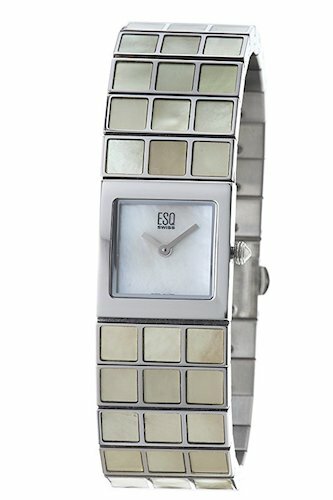 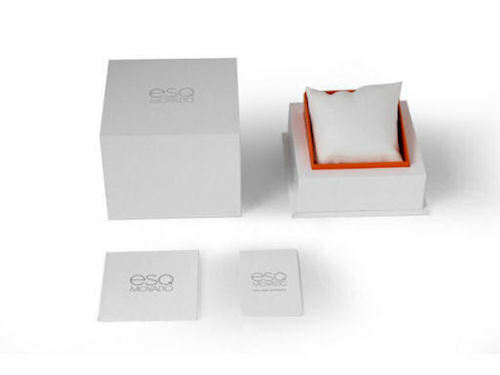 ESQ by Movado Women's Roxanne White Mother of Pearl Stainless Steel Watch - Model 07101155 (more info) — only 6 left!